Relax and calm the body and mind with this short relaxation class. Relax the entire body, mind and spirit with this peaceful short meditation perfect for any time or place. Meditation to bring a healing energy to your body and anything that ails you. A meditation to help you feel a sense of well being using the visualization of a white light. Take a journey down the river of your own life as you flow with change and open yourself to healing. Go to that place that brings you peace within and carry it with you throughout your day. Learn to let go of self doubt and trust your own instincts and intuition. Flow and open yourself to change in this calming meditation. Open your heart to living your dreams and open your mind to making them real. Find inner peace in body, mind and spirit with this calming meditation. Embrace the birthplace of joy and embrace your life with the gift of gratitude. Learn "Tratak" or steady gazing medtiation to purify and strenghten our inner wisdom. Hear and feel the ocean breath. Feel rooted and grounded in your own personal intention with this tree meditation. 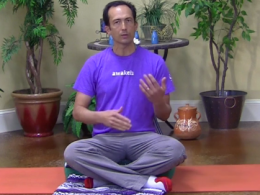 Embrace the light and true intention within you in this peaceful guided meditation. Ground yourself in this meditation that focuses on the earth element connected to the Muladhara/Root Chakra. Let go of what no longer serves you and move forward in your life. Tame the thoughts and plant your seed of intention witin your heart and mind. Clear away the "weeds" in your life as you tend to your inner garden.